The new NDA Government is no doubt more technology savvy than the previous one. The party has just completed their two months in power and have already come out with many new online initiatives. They have announced launch of MyGov, a new ideation portal for good governance, NiesbudNaukri, a job portal for unemployed skilled professionals andMSMEshopping.com, a unique e-commerce portal for micro, small and medium sized enterprises. Now, it seems Bhartiya Janata Party is planning to launch their very own messaging service. In a report on DNA India, BJP’s messaging service has been described as something similar to WhatsApp, which is currently the most used messenger across the world. So, why does BJP need their own messenger app? Well, for starters, communication between MPs would become a whole lot faster and easier. And I reckon they would have a gala time forwarding jokes to each other during the day, or in an assembly meeting. But really, what BJP wants to do is enable its party workers to be able to easily share information, images, voice notes etc. with other members of the party. Not only that, BJP’s messenger service might be open to public, who would be subscribed to what has been described by a senior BJP personnel as “informative messages” for Indian citizens. In a separate report by Deccan Chronicle, BJP is using a WhatsApp group with 323 MPs to relay important information at the earliest. However, we all know that WhatsApp has a limit of 50 members per group. Perhaps what DC really meant to report was about the WhatsApp-like messenger that BJP is using. It’s going to be very interesting to see how well the public reacts to this. Would they adopt it? And even if they do, would they simply get spammed by party praising messages, or will there be some real use of this service? Of course, nothing can be said of now. All in due time. 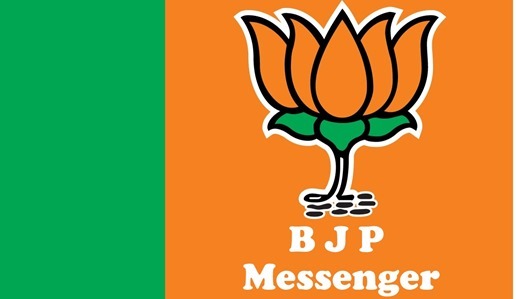 BJP’s messenger service will allegedly launch before the local body elections are held in Indore, Madhya Pradesh. It is heartening to see new Government’s push for use of technology in carrying activities in various areas of governance! If at all they launch a messaging app, it wold be interesting to know the encryption that they use. Why reinvent the wheel? There may be many other messengers which allow more than 50 members in a group.